A joint program of local governments and the U.S. Defense Threat Reduction Agency (DTRA), The CBEP program’s goal is to develop Threat Agent Detection and Response (TADR) surveillance networks to monitor, identify, and control the outbreak and spread of human, animal, and plant pathogens. 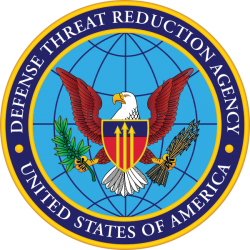 TMC has managed the provision of in-country staffing, logistics, and professional services for the DTRA’s Biological Threat Reduction Program (BTRP in Kazakhstan, Uzbekistan, and the Republic of Georgia). As a teaming partner to Bechtel National, Inc. (BNI), TMC recruited, screened, and hired more than 140 host country employees who filled the role of dedicated full-time local BTRP staff. These TMC staff members were specialists in environmental and structural engineering, industrial hygiene and safety, biological and medical sciences, and administrative, linguistic, and logistical disciplines. TMC’s local national employees provided key technical support to the U.S. team in the assessment, planning, design, and construction of more than a dozen Environmental Monitoring Stations (EMSs) in high-priority areas of focus. One of the major program achievements was the dismantlement of Biokombinat in Tbilisi, Georgia – a site once responsible for the manufacture of biological weapons of mass destruction. 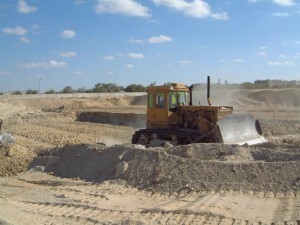 TMC engineering and construction staff identified key materials and equipment in the facility, marked them for removal and destruction, and monitored local construction subcontractors to ensure the safety of all workers. TMC’s in-country staff and local and regional subcontractors also worked on the construction of three Zonal Diagnostic Laboratories (ZDLs) and four Regional Laboratories for the National Center for Disease Control and Public Health (NCDC) of Georgia, as well as the construction of the Central Reference Laboratory (CRL).